Fly your company logo or message in any weather! 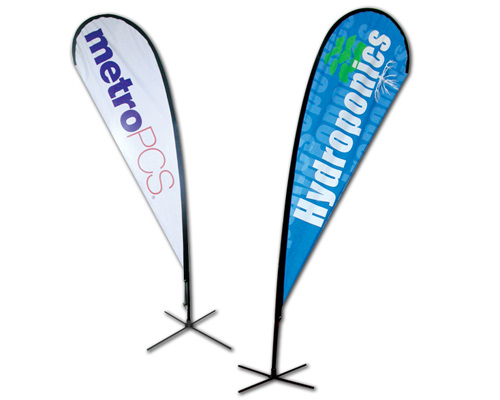 Our teardrop flags are digitally printed and afterward heat set to ensure the flag is water resistant and extremely strong. Each Teardrop flag comes as a set, please see details below. For pricing of other sizes and printing options please contact us. *Prices include spike base and basic artwork design, and are per banner (each). GST is additional. Other sizes available, please contact us to discuss your requirements.